Home / #American_Road_Radio / #AmericanRoadRadio / #Chronicles / #Entertainment / #USChronicles / #USLocal / #Entertainment : Super Heroes crying their daddy Stan Lee, the Marvel comic legend ,dead at 95. 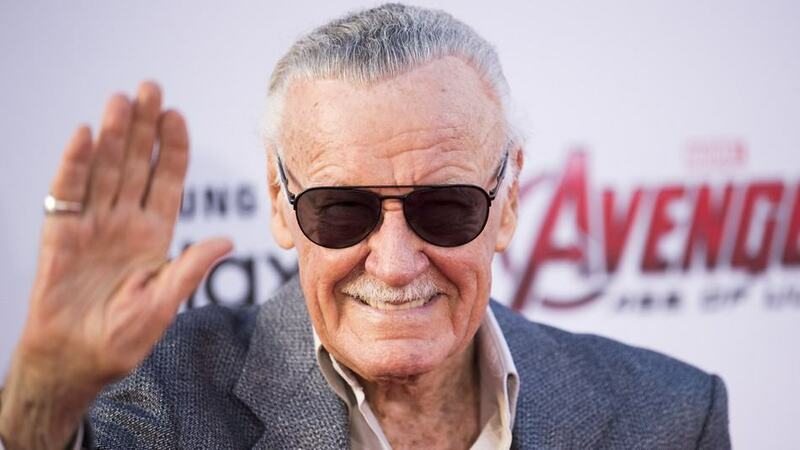 #Entertainment : Super Heroes crying their daddy Stan Lee, the Marvel comic legend ,dead at 95. Tributes have poured in for Marvel legend Stan Lee, the creative dynamo who revolutionised the comic book and helped make billions for Hollywood with superheroes such as Spider-Man and the Incredible Hulk. Lee died Monday in Los Angeles after suffering a number of illnesses in recent years. He was 95. 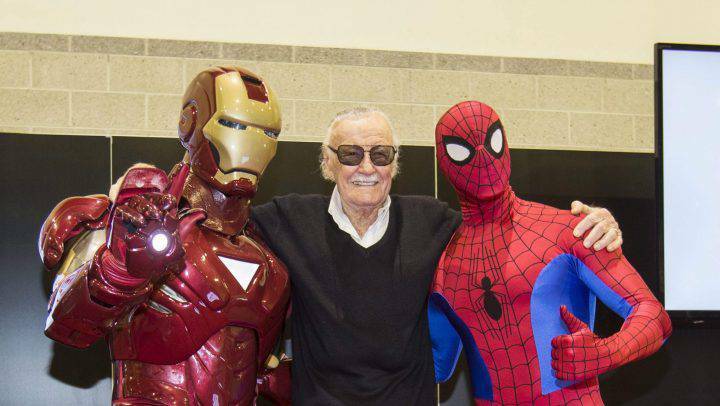 “With a heavy heart, we share our deepest condolences with his daughter and brother,” said Marvel Comics and its owner The Walt Disney Company. Lee rose through the ranks to become a comics writer – making millions of superhero fans dream of his fantastic universes and humans with extraordinary powers – and eventually led the Marvel empire for decades as its publisher. Iron Man, Thor and Doctor Strange would follow – and today, all three heroes have multi-film franchises that rake in hundreds of millions of dollars. “I owe it all to you ... Rest In Peace Stan,” Robert Downey Jnr, the actor who played Iron Man, posted on Instagram. Lee has appeared in cameo roles in nearly every movie in the Marvel Cinematic Universe including as a bus driver in Avengers: Infinity War, a film that united many of the indelible characters he brought to life. What is your favourite film cameo appearance by Stan Lee, creator of Iron Man and Spider-Man? After a stint in the US Army during the second world war Lee returned to comics, teaming up with illustrator Jack Kirby in the 1960s to invent the Fantastic Four and Spider-Man. It was a partnership for the ages – Kirby, the artist, was “The King” and Lee, the writer, was “The Man”. Together they would pioneer new ways to tell stories, with deeply flawed heroes and serious themes – all while maintaining the wonder of traditional superhero lore. Even villains showed complicated feelings. “When the time came to create a teenaged hero for Marvel Comics, I decided to depict him as a bumbling real-life teenager who by some miracle had acquired a super power,” Lee wrote in a 1977 column “How I Invented Spider-Man”. Lee and his collaborators churned out hit after hit and he took over at Marvel in the 1960s, creating the “Marvel Universe” – all of the heroes existed in the same time and story crossovers were frequent. It’s a model now adopted by the Hollywood producers beyond the Marvel Cinematic Universe – which releases its 21st film, Captain Marvel, in March next year. Lee formally left Marvel in the 1990s but remained chairman emeritus. He was the brand’s most recognisable face, giving lectures and speaking at comics conventions. “My father loved all of his fans,” his daughter JC told Hollywood celebrity news portal TMZ. There were also claims that people around the Marvel legend – who was worth tens of millions of dollars – were trying to access his wealth, and that he was the victim of elder abuse at the hands of his manager and his daughter JC. This year, he filed a US$1 billion lawsuit against his former company POW! Entertainment for damages over what he called a “sham deal” with a Chinese company. Two months later he dropped the lawsuit and called it “confusing to everyone”.